Why should you modify the Sony MDR-7506 instead of buying other iPhone-compatible headphones? Simply put: this mod takes professional recording studio headphones and turns them into a great iPhone listening experience without emptying your bank account. These aren’t expensive cans. Nothing else in the sub-$100 price range offers the clarity and definition of these headphones. 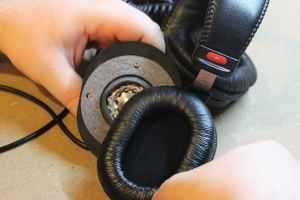 In fact, you’d have to switch to the open-back category and spend another $200+ to find a better sounding pair of cans. Open-back headphones don’t offer any isolation, so they’re not ideal for mobility. At $80 or less, the 7506 are perfect for this project. With a $30 iPhone cable, $5 in parts, and a little DIY knowledge, you’ll have the best iPhone-compatible headphones under $120. It’s such a great deal. I keep calling these the best iPhone-compatible headphones, but what does that really mean? Is the Sony MDR-7506 iPhone mod iPhone-only? Can they work with Android? Let’s start with the features this mod adds to the 7506: a microphone, volume buttons, a play/pause button, and Siri compatibility. That’s everything an iPhone user needs from a pair of headphones. This mod adds all of that with a single, detachable cable. For the iPhone, we’re using the Beats RemoteTalk Cable. Eww, I said Beats, right? Actually, we haven’t found a better cable for the iPhone at this point. It’s robust, has all the features we need, and will be around for a very long time thanks to the Apple buyout. The iPhone cable does not work with Android. You’ll have to find an Android-compatible cable for that. We would’ve recommended the Beats Android cable, but Apple discontinued it. Shocker. The best work-around I can suggest is an Android app that lets you define button presses on the Apple-only cables. If anyone finds an actual Android-compatible cable that works with our Sony MDR-7506 iPhone mod, please let us know in the comments. 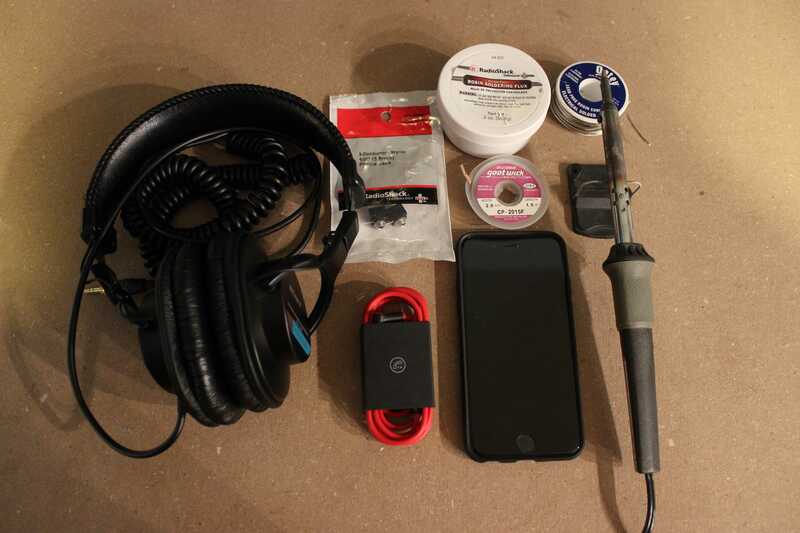 To complete this do-it-yourself, Sony MDR-7506 iPhone mod, you’ll need the following parts and tools. The blue amazon links you’ve seen in this article are the actual hardware you need to purchase. If you don’t have some of the tools listed below, you may need to purchase them or borrow from a friend. Take a look at each picture below. We made sure to take a picture of every step to make this as easy as possible. 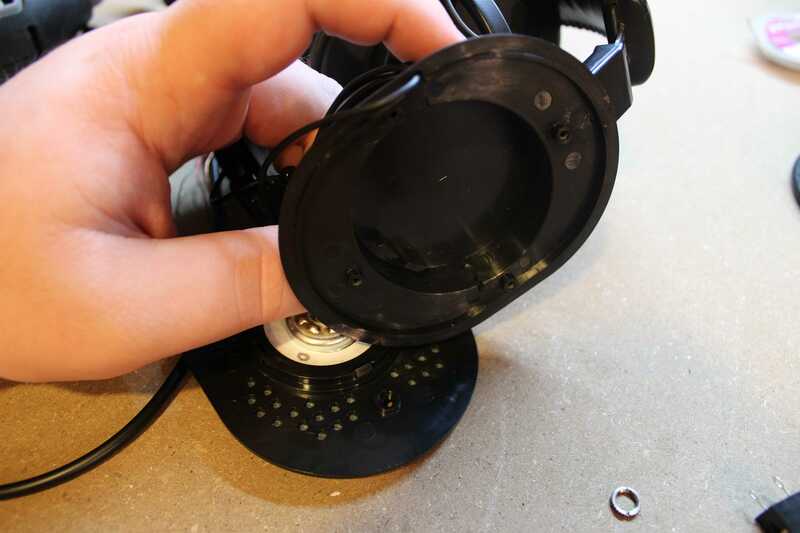 Even still, you cannot hold us responsible for any damage you cause to your headphones. If you follow the steps properly and have everything ready to go, you can expect this process to take less than an hour. Take the leather ear cup off to expose the driver. It stretches a little, but it’s still a pain to remove and put back into place. Unscrew the four screws holding the driver into the shell and dislodge the cable from the pegs inside. 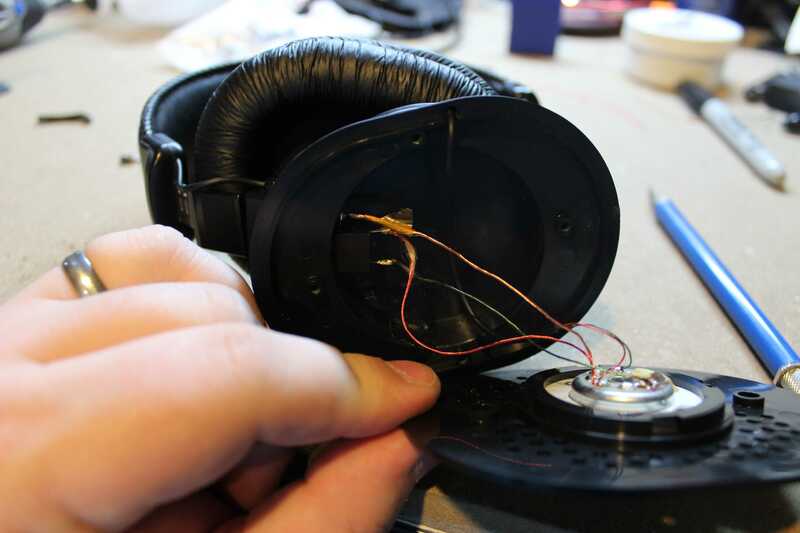 Detach the three wires of the headphone cable from the driver. I labeled what colors went to each solder point. 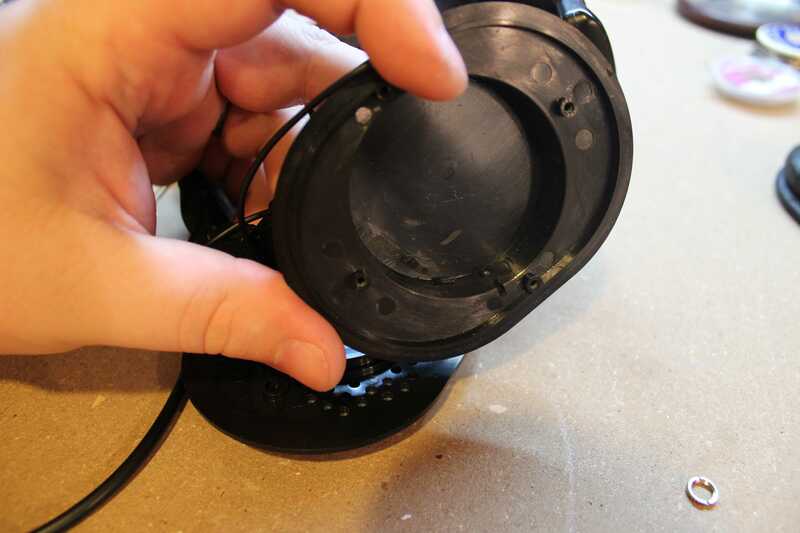 Pull the headphone cable out and grind/cut out the top peg with the Dremel tool. The top cable peg is gone in this picture. Feel free to compare to the previous picture to clarify this step of the process. 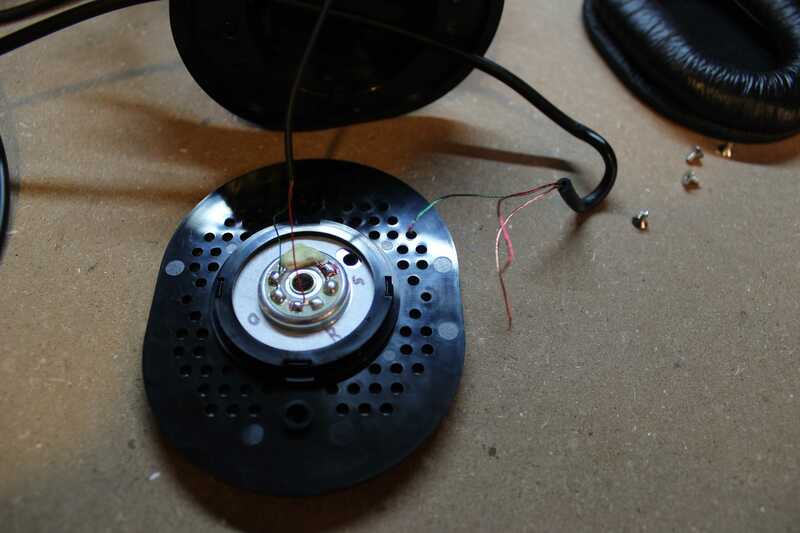 To attach the jack to the driver, you can re-use two inches of the original wires. 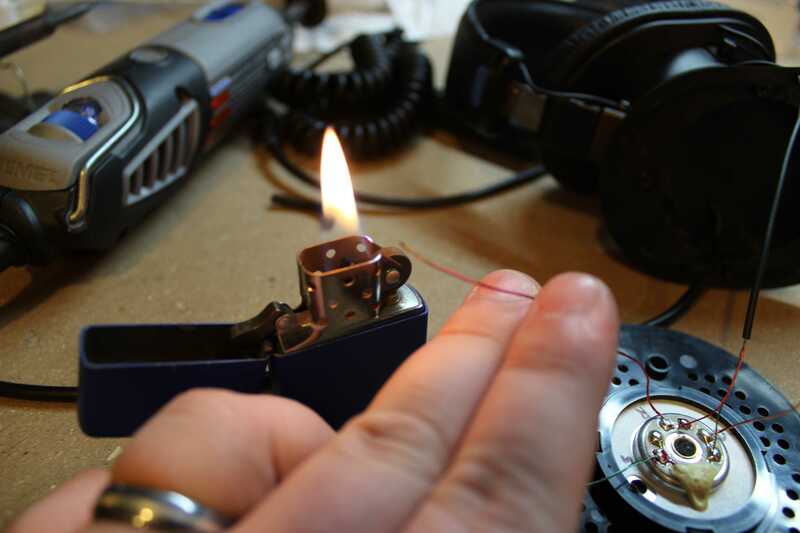 You need to melt the enamel off the wire ends before soldering. Solder the wires to the driver and the jack exactly like this and test your audio. It matters what colors go where for the speaker to work properly. 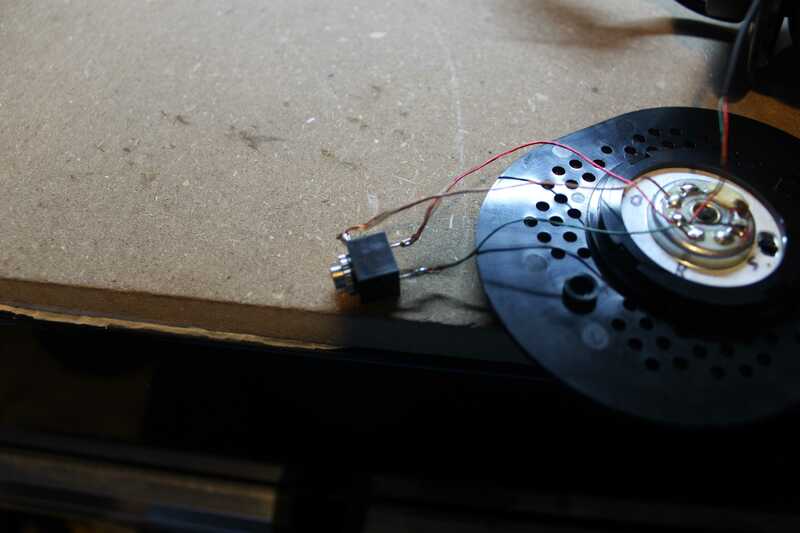 Widen the old cable hole with a 1/4″ drill bit. As you drill, shift it away from edge so the jack’s nut can rotate. Then attach the new headphone jack to the shell. 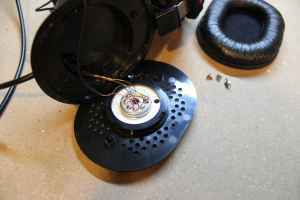 Screw the driver back into place and do a final audio check. Everything should sound great. If it doesn’t, re-check your solder points. Re-install the leather ear cup and you’re done! This is what it should look like when finished. 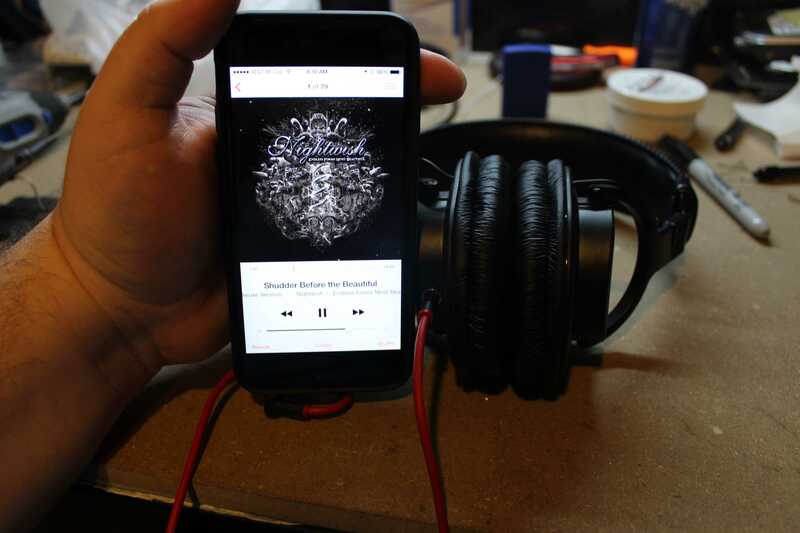 We attached the Beats RemoteTalk Cable and tested the sound with some new Nightwish. It sounds so good! There were plenty of challenges for this mod in the beginning, but I suffered through all of that for you. 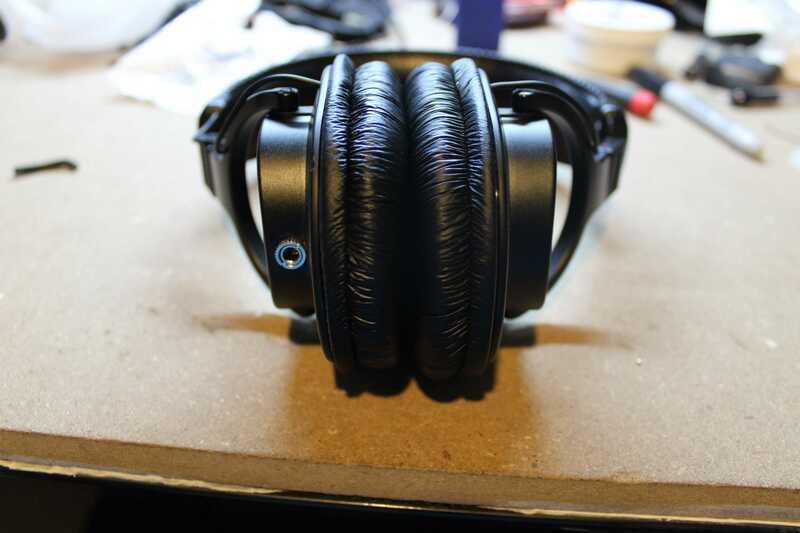 As it stands, we feel comfortable placing the difficulty of the Sony MDR-7506 iPhone mod at 6/10. It’s not for a beginner, but it’s doable for many people. I completed the Sony MDR-7506 iPhone mod a few weeks ago. It’s been awesome using these headphones since then. 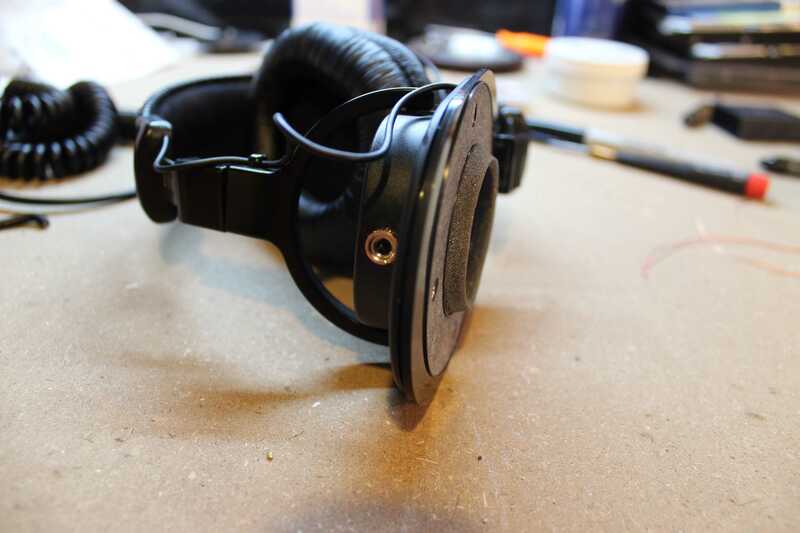 Personally, I would call these modified cans the “best over-ear iPhone-compatible headphones.” Since it’s technically a mod, I’m not saying that specifically… even though it’s true. There are plenty of iPhone-compatible ear buds, but they’re all terrible sound quality — to my ears. Sound is purely subjective; you will always like something different from me (however slight). That’s why I like the 7506 so much. They don’t try to modify the sound of the source to fit any particular taste; they just portray the source as intended. They’re glorious to my ears.